We have 500 stickers to sell and hope to raise £750 from the profits to donate to the the Marine Conservation Society to help fund towards all the great work they do on our behalf to protect our precious shores. Help us reach our goal by buying a sticker from our website. 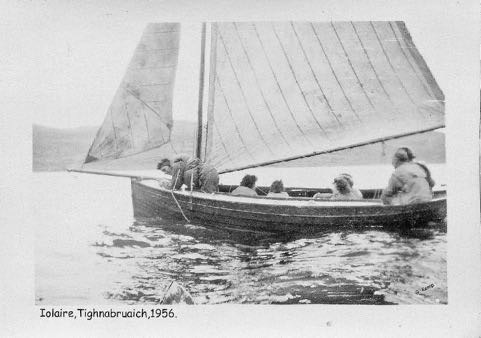 If the sea is calling, there is no better way to learn the ropes than dinghy sailing at Tighnabruaich Sailing School on Argyll’s Secret Coast. We are less than 2 hours from Glasgow and steeped in maritime history, surrounded by stunning scenery and idyllic sheltered bays. Are you dreaming of sailing the west coast on your own yacht, but do not know where to start? We can help you. Why start your sailing career in a dinghy? In general, you will learn more in a few hours on a dinghy than in a month on a bigger boat. The necessity for the helm to continually move their weight around to help keep the boat upright, helps to give you an understanding and develop an inner feel for the complex interaction between sails, hull and rudder, wind and wave. Responses become automatic quicker! There is nothing like a dunking to concentrate the mind on staying upright! As a result, dinghy sailors tend to have very good wind awareness and therefore a better understanding of sail handling. 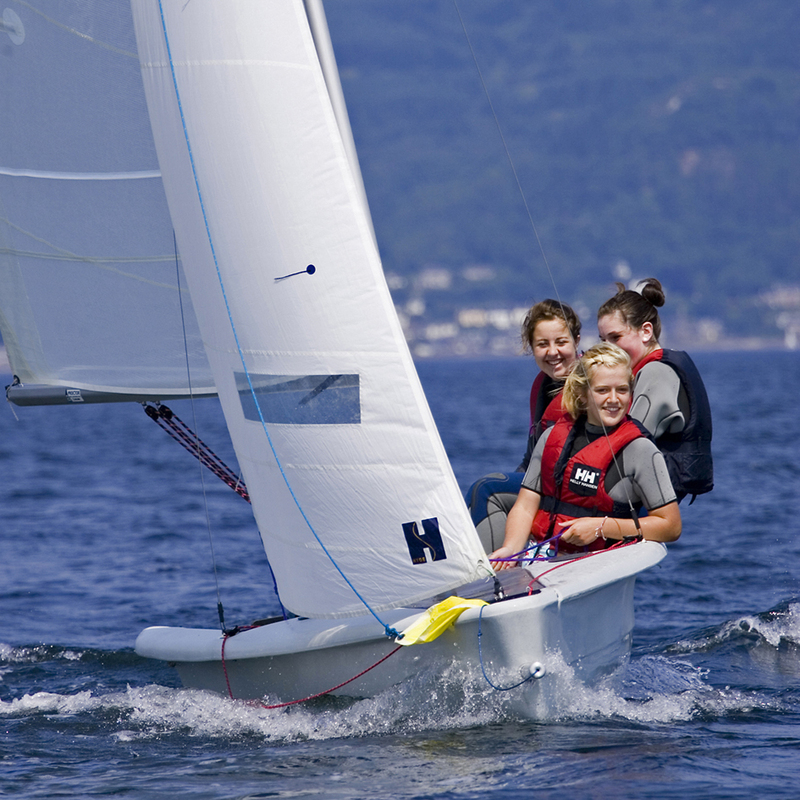 Of course, dinghy sailing is also excellent for keeping you in good shape. However, we do have to warn you, sailing so close to the water is exhilarating and can become addictive! Sailing is one of the most accessible sports in the country, whether you live by the sea or inland, and it is among the most rewarding. Owning a dinghy does not have to be expensive. There are a plethora of great dinghies to be found on the 2nd hand market and plenty of clubs around the country to support you in your sailing. 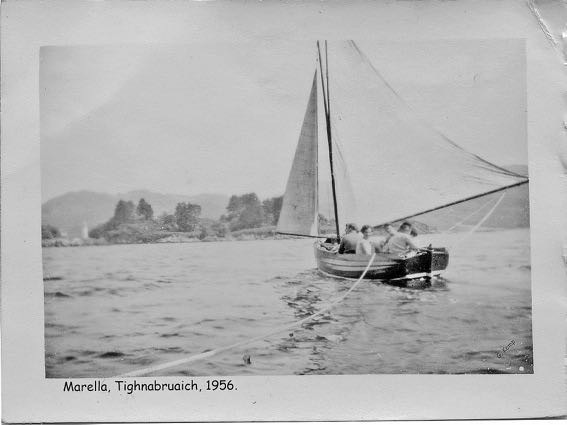 Alternatively, tow it behind your car to stunning locations like Argyll’s Secret Coast, and take to the sea in our sheltered waters, but make sure you have first learnt the basics at Tighnabruaich Sailing School and are safe at all times. Once you have learnt the basics, you might want to move onto something bigger to sail further afield. The solid appreciation of the wind and sails that you will have learnt on a dinghy, are all transferrable to larger boats and will stand you in very good stead. So what is stopping you? Our next adult course is on the bank holiday weekend 14/15 April 2018. Is it not time you took to the sea? After all, there is absolutely nothing half so much worth doing as simply messing about in boats! We all want our children to grow up happy and confident. 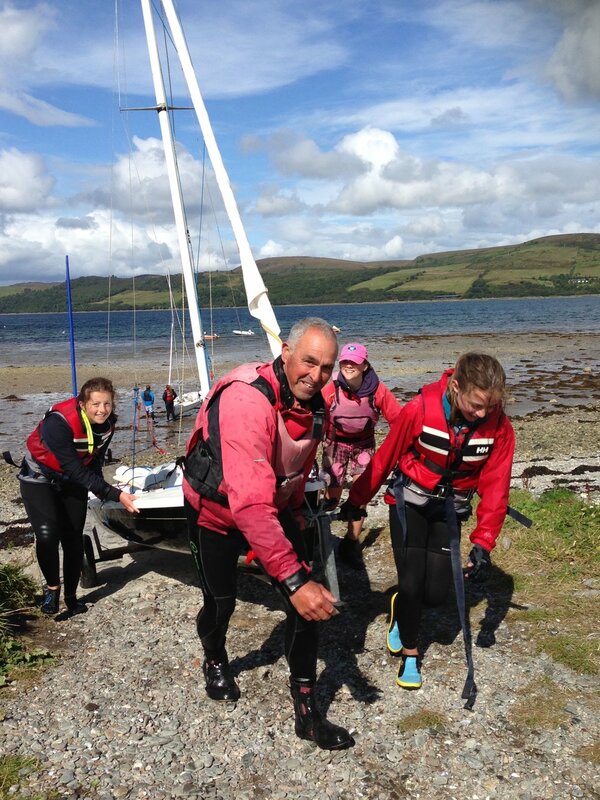 Find out the top 5 reasons why a residential course at Tighnabruaich Sailing School can positively contribute to a child's development whilst ensuring they have fun during the long summer holidays. Argyll's Secret Coast is the ideal adventure playground, and is only 2 hours from Glasgow. Kids learn the world is a big place with lots of people, who might do things differently than they are used to. And what could be better than learning this in a safe, family environment with positive role models teaching them new skills every day. Navigating and building new friendships teaches children to be socially confident, a skill that will always stand them in good stead as they grow up and leave home for university and the wider world. When children are staying with us residentially, they become more confident at making friends whilst slowly and safely learning to survive in the big bad world without Mum and Dad. Sailing, as an activity, is a great confidence booster as they master the skills required to manoeuvre a boat and perform at their best. Succeeding out on the water and working with the elements, gives children the sense that they can achieve anything they put their mind to. Coupled with a residential stay, the benefits are without a doubt multiplied. 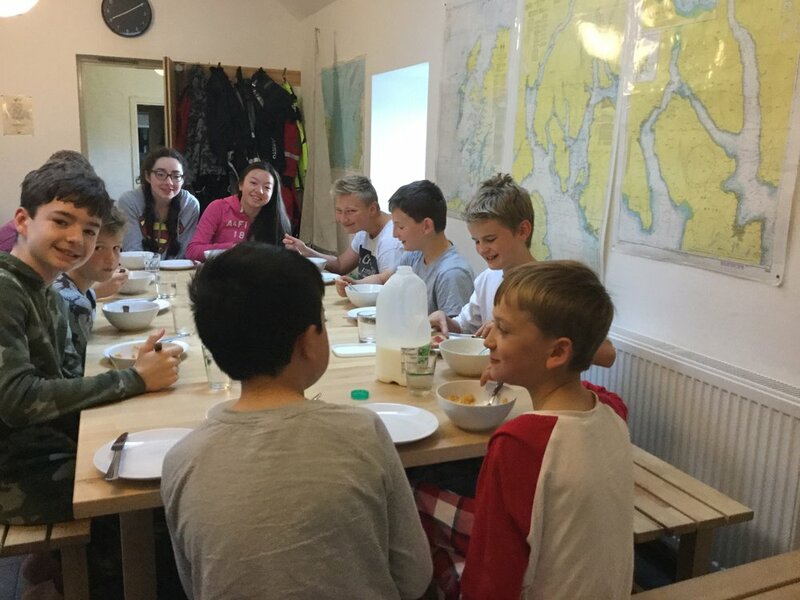 We get enormous satisfaction watching our regular residential children slowly mature into confident young adults, helping the younger and newer children get the most out of their week at Tighnabruaich. When children stay with us, they are empowered to take care of themselves under the watchful and experienced eye of Fiona, and the results are priceless. Children learn that they can thrive away from their parents - and vice versa! We have all listened incredulously at how well our children have behaved/ slept/ picked up socks/ etc when away from us! In a small, caring, family group, children want to respect others and be capable - this can only be good news for parents. Children lacking in confidence will begin to trust their own abilities, and those already confident will continue to thrive. The residential school never exceeds ten children living together in the house at Carry Farm in purpose built accommodation, with Fiona, Derek and their family. 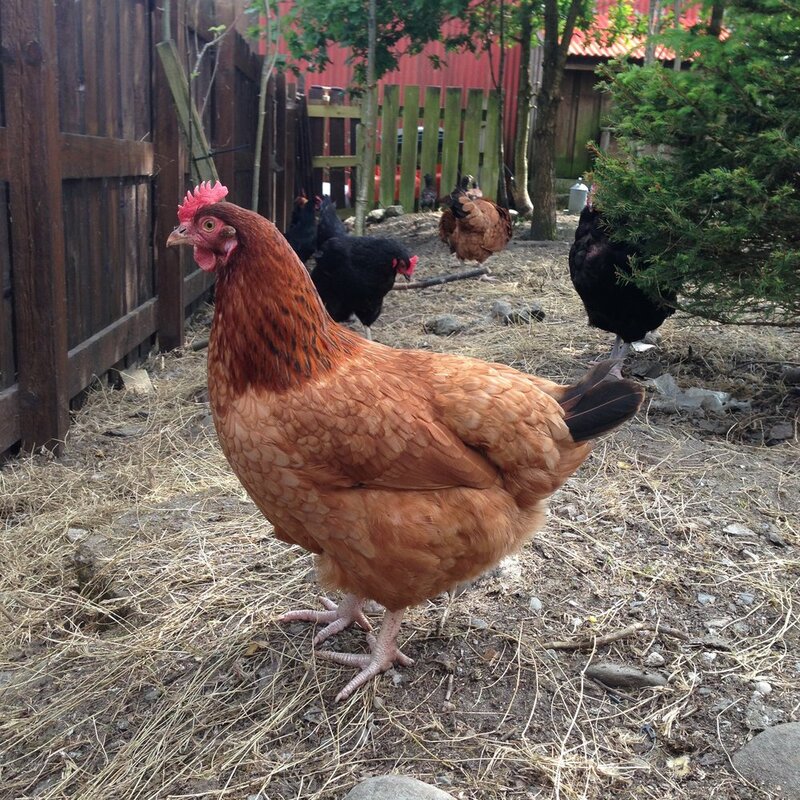 The children are encouraged to come into the kitchen for a chat at any time, are asked to feed the chickens and donkey, collect eggs, make their beds and generally muck in! It is home from home, with a few extra kids and change of face giving out the usual instructions, from teeth brushing to setting the table. The home cooking is all made by Fiona and the keen bakers amongst the children can help to ice the chocolate cake or make the waffles. The relaxed family environment never fails to bring out the best in all the children who enjoy mixing with each other regardless of age. 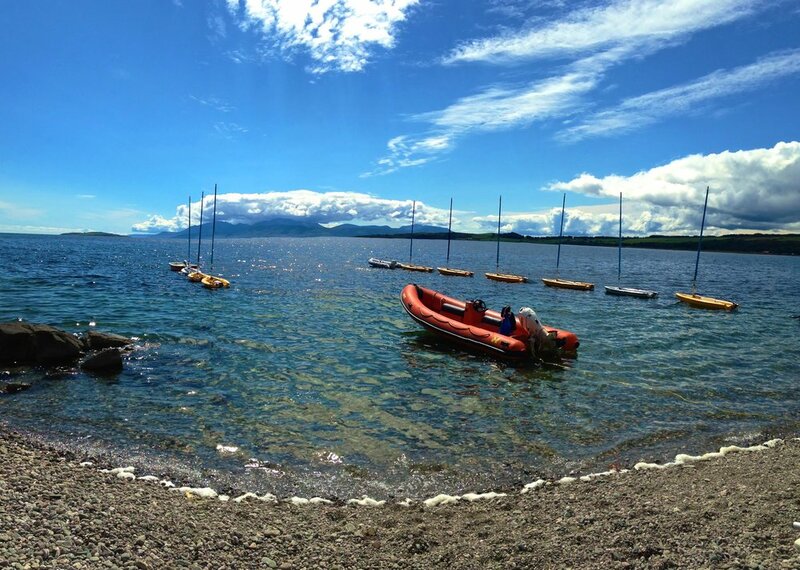 Not only will the children spend all day out on the water, but after a hot shower and good food, and if the weather permits, it is then back outside for our evening activity. Whether we are toasting marshmallows down on the beach, swimming in the bay, playing games at the stunning Ostel Bay or going out on the RIB for some action, it is sometimes hard to bring them in when time for bed. Of course, it does not take them long to fall asleep! 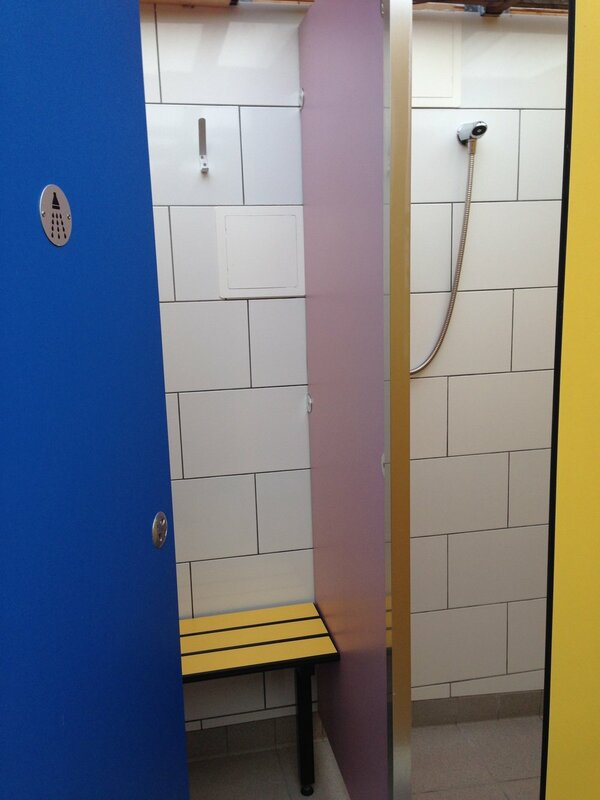 We encourage electronic devices to be left at home, although understand that for some it is a step too far! However, those prone to spending too much time on their phone find that real interaction is actually really good fun. In fact, by the end of the week when they are packing to go home, it can sometimes be hard to find the phone as it has long been forgotten! 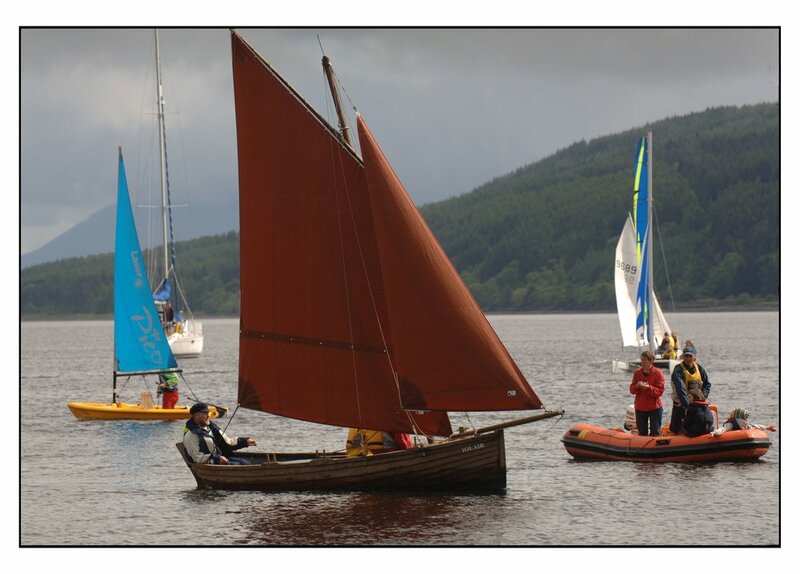 Tighnabruaich Sailing School run residential courses for children during their school holidays. Places are limited each week so check availability and prices on our website. And please do not hesitate to contact Fiona or Derek if you have any questions or concerns. 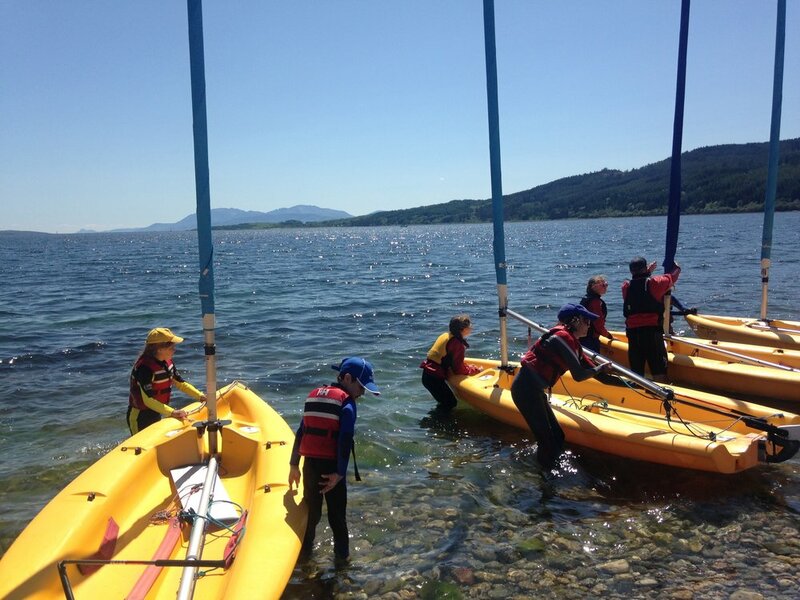 Children thrive on learning new skills, especially during an exciting week forming new friendships at Tighnabruaich Sailing School. Sailing encompasses many traits and skills that your child can use throughout almost all aspects of life. Below are 5 reasons why your children should be taking to the water next summer. There is simply nothing like being able to steer your own boat at the age of 9 years old. Riding a bike is one thing. Skillfully steering a sailing dinghy is quite another. Sailing can be one of the most instrumental activities in helping to shape a child's future. When a child is given the opportunity to helm a dinghy, they feel as if they can accomplish anything they put their mind to. This confidence is hugely beneficial in a child’s education and social life. When you sail you learn how to avoid collisions as well as how to navigate through tight spaces and corners. Developing confidence in spatial awareness will help your child navigate the awkward teenage years and the transferable skill will help bring them prowess in other activities that involve coordination and critical thinking like learning to drive. When out sailing, kids will learn how to navigate the waters by distinguishing landmarks and determining directions. By mastering this skill, they beginning to understand how to get from A to B, and as a result are better able to assess their surroundings, it become a regular part of their stream of consciousness. That awareness is crucial to having a sense of direction. Knowing what direction the wind is coming from, how strong it is, and when it is inappropriate to take to the water, are all things your child will learn when he or she becomes a sailor. By the end of their week on the water, your child will be looking up at the clouds and assessing conditions everyday on their way out the door. Definitely a handy observation. A crucial part of learning to sail is ensuring proper preparation before departing from the shore. Learning to rig a dinghy and then de-rig and tidy up at the end of the day is drilled into all dinghy sailors. Children will learn that precision and teamwork is imperative to success. And you never know, "a tidy boat is safe afloat" may be a skill they can apply to their bedroom - we can live in hope! Learning to sail is not just about filling an active child’s summer holidays. It is a gift for life that will never leave them, and one which they will return to again and again. Our residential and non-residential courses will have your children hooked for life. Book now to avoid disappointment. Numbers are limited to ensure a quality of care and tuition for every child. Any questions, please be in touch, we are more than happy to discuss your child's requirement. We look forward to teaching your child on the water in 2017! We have just taken delivery of a Blokart to ensure we have loads of fun on the odd day when it is too windy to take to the sea. 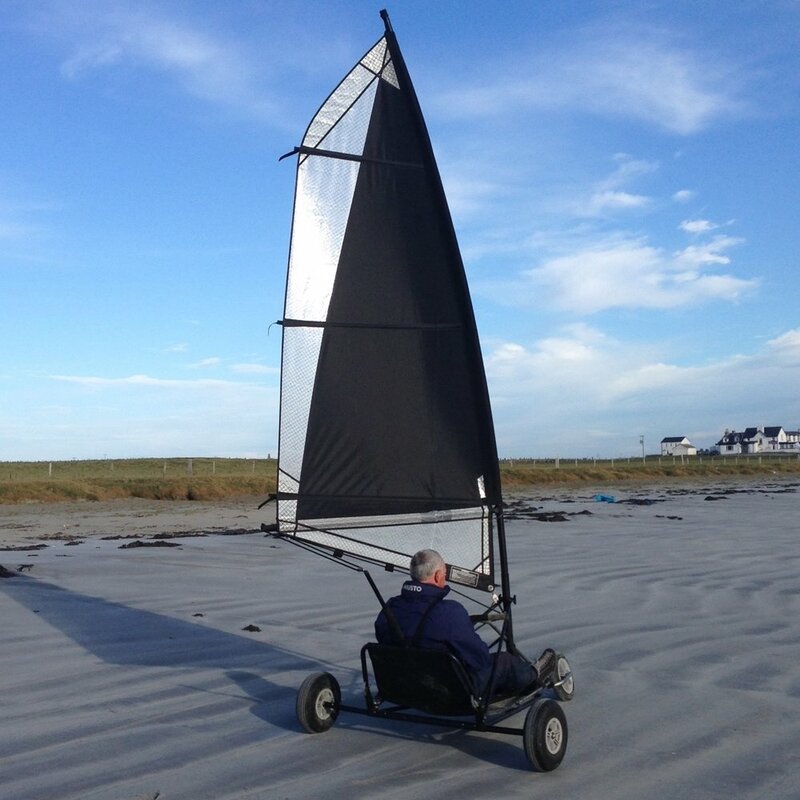 Of course Derek had to take it out for a test drive on his recent visit to Tiree! The challenge will be to sail around a triangular course in the boat field - should be fun! And if it is still breezy in the evening, we can take it to nearby Ostel Bay for some time trials up and down the beach. Laser Pico 2010 for sale for £850. Comes with Main sail, jib and launching trolley. Only one left for a great price. An ideal dinghy to get all the family out onto the water and having fun whilst building confidence.